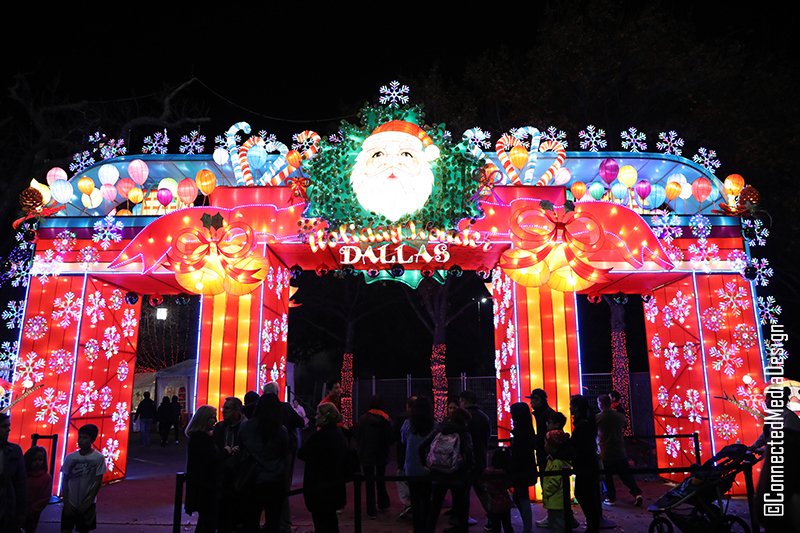 We went to see Holiday Wonder at Fair Park last week. Had a wonderfully, relaxing evening with friends and got to see lots of beautiful lantern displays. 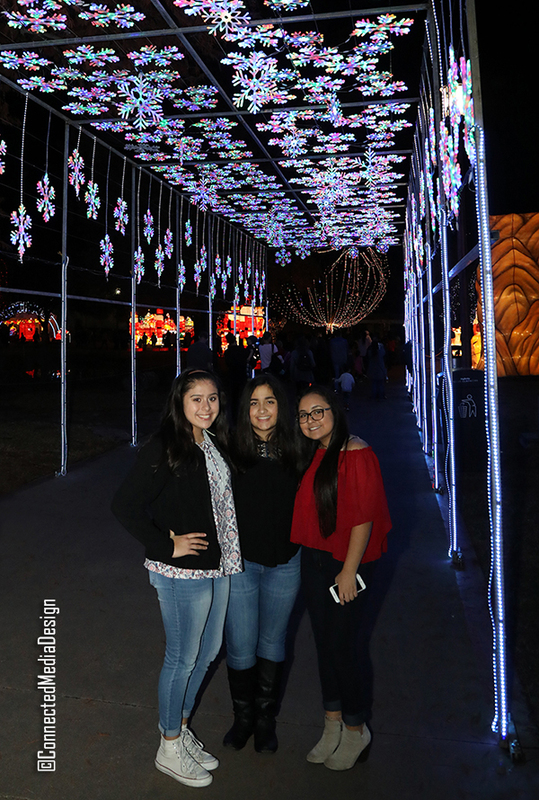 We’d been to the Chinese Lantern Festival at Fair Park a couple of years ago and were looking forward to seeing Holiday Wonder. The entrance is pretty impressive and a gorgeous photo op too! On the way to the snowflake corridor pictured below, there are a few vendors selling various merchandise so stop by and take a look. 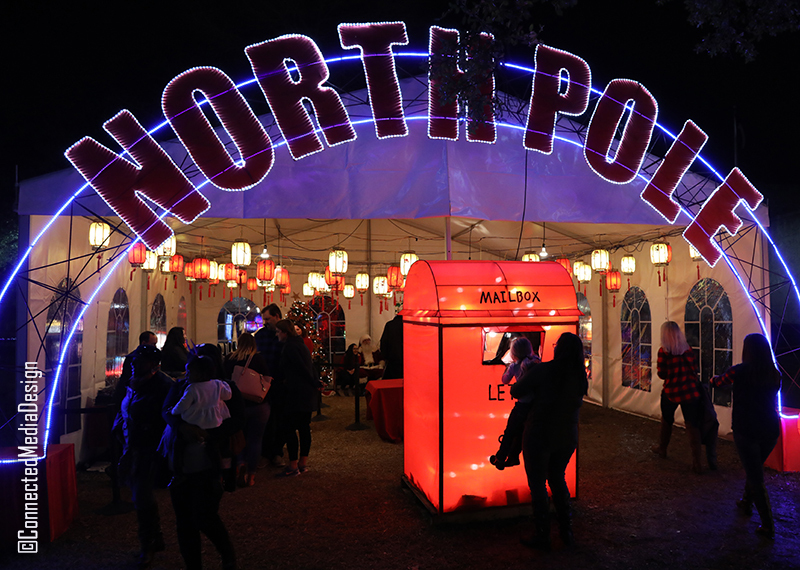 We checked in at the North Pole booth and saw a lot of happy little faces writing letters and mailing them to Santa. We even got a fun, group photo with Santa himself. Before continuing our leisurely stroll around the lagoon, we grabbed a quick snack from the concession stands and took a break at the picnic tables set up in the area. There’s a fabulous view of the floating swans from the picnic tables and we were able to get some fun selfies here. 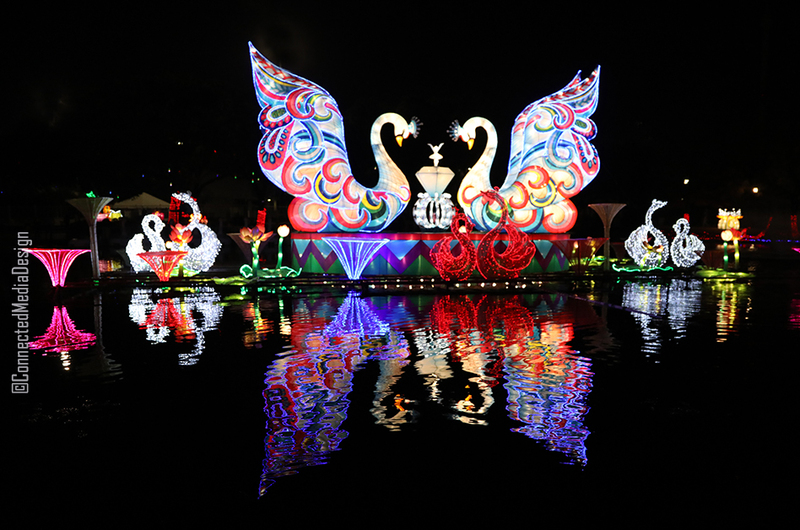 Holiday Wonder features a number of lantern displays around the lagoon, with the beautiful floating swans in the middle. 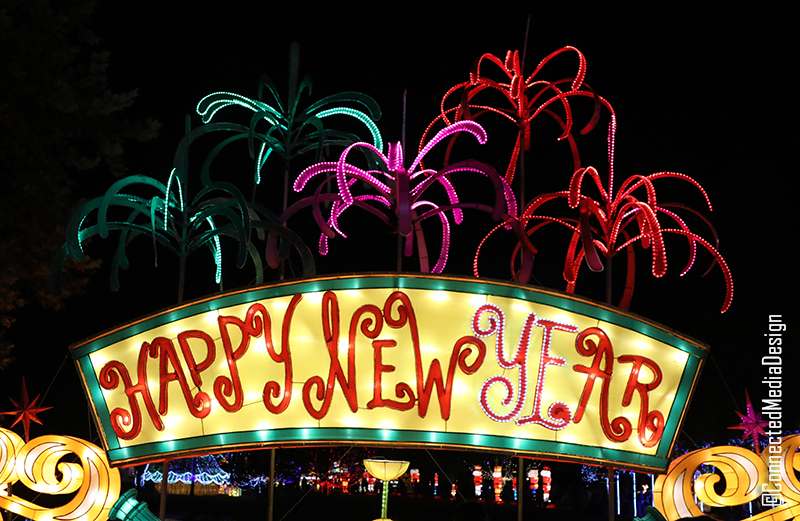 We didn’t get to try Santa’s Arctic Slide, throw snowballs or watch the live entertainment because the line was too long to get to that part of the park even for a Thursday night, so it might work better to do this portion of Holiday Wonder earlier in the evening. Also, the bridges that cross the lagoon could use some lighting so do keep an eye on little ones when you walk across. The night we went, there was about a 20 minute wait to get into the park because there seemed to be only one person taking tickets. The line moved relatively fast so it wasn’t a big deal, but do be prepared to entertain little ones in the event of a delay. This is an outdoor event so bathroom facilities are comprised of porta-potties, but there are full bathrooms in the building across from the main entrance and you can get your hand stamped to go in and out as needed. All in all, we spent about two hours at Holiday Wonder and had a great time. 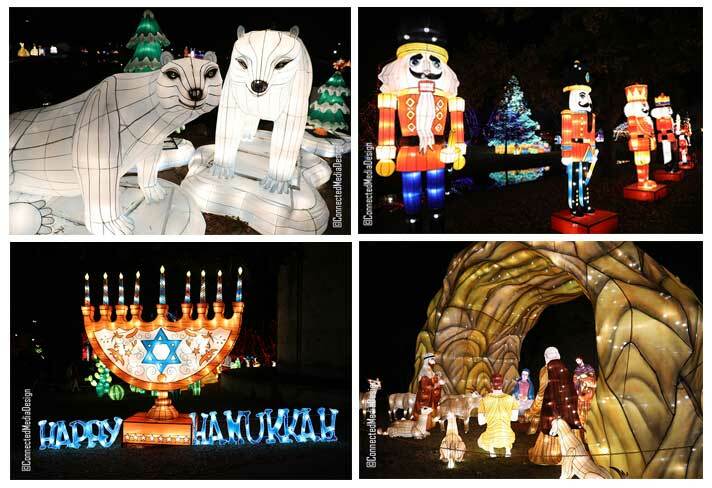 The lantern displays are gorgeous and it’s a wonderful way to celebrate the Holidays. Tickets and more information available at www.holidaywonder.com.